These Interpretive Listening resources provide students the ability to interpret information, concepts, and ideas from a variety of culturally authentic sources on a variety of topics. There are many different ways of incorporating Interpretive Listening resources into the Spanish classroom. The goal is always to make interpretive listening activities fun and effective for Spanish language students. We provide more than 500 authentic listening comprehension resources for novice, intermediate and advanced students. Each quiz is accompanied with an mp3 audio file and answers are provided so that the student learn on his/her own. These scientifically tested resources will greatly increase your fluency with the language. It is critical to set realistic expectations for students who are participating in interpretive listening activities. Listening Comprehension is seen hypothetically as a functioning procedure in which people center around chosen parts of aural information, build significance from sections, and relate what they hear to existing learning. This hypothetical view has not been adequately upheld by direct research which illuminates what audience members really do while occupied with listening errands. This investigation concentrated on the psychological procedures second language students use in listening appreciation, the methodologies they use in various periods of perception, and the distinctions in system use between understudies assigned by their instructors as viable and incapable audience members. The understudies in this investigation were all from Spanish speaking homes and were taken on ESL classes. Information were gathered utilizing verbally process methodology in which understudies were intruded on amid a listening understanding action and requested to demonstrate what they were considering. Discoveries showed that psychological procedures understudies use in listening cognizance paralleled three Listening Comprehension periods of the understanding procedure: perceptual handling, parsing, and use. Each stage was portrayed by dynamic handling and by the utilization of learning techniques. Three prevalent techniques which separated powerful from incapable audience members were self-monitoring, elaboration, and Listening Comprehension. The discoveries were identified with suggestions for instructional practice. This website is a result of a classroom‐based study of the effect of learner strategy on listening comprehension. 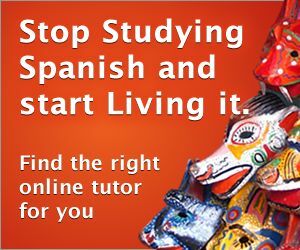 The students were enrolled in a Spanish language course at Stanford university. The materials consisted of audio segments from authentic materials developed for Spanish students. This material included segments from Spanish radio and movies. We discovered that instruction using authentic listening comprehension resources will result in the improvement of listening comprehension by 90% of students. This website presents contentions for an accentuation on listening cognizance in language getting the hang of/educating. A clarification of how audience members can utilize systems to improve the learning procedure is introduced, with an audit of the current research base on how Spanish listening is instructed. The real piece of the paper introduces and examines academic suggestions, just as instances of execution agendas for creating mindfulness supporting listening comprehension. This website offers a subjective viewpoint on the understanding issues of second language listening comprehension. I do this by distinguishing ongoing listening troubles looked by a gathering of English as a second language (ESL) students and analyzing these challenges inside the three-stage model of language understanding proposed by Anderson (1995, Cognitive Psychology and its Implications, fourth Edition. Freeman, New York). Information were inspired from students' self-reports through the methodology of student journals, little gathering meetings and quick review listening comprehension. My investigation demonstrated 10 issues which happened amid the psychological handling periods of discernment, parsing and usage. Five issues were connected to word acknowledgment and consideration disappointment amid perceptual preparing. There were likewise issues identified with wasteful parsing and inability to use the psychological portrayals of listening comprehension. A correlation of two gatherings of students with various listening capacities demonstrated a few of the challenges experienced, however low capacity audience members had more issues with low-level preparing. In the last piece of the article, I feature the advantages of inquiring about continuous subjective imperatives amid tuning in and acquiring information through students' reflection, and offer some reasonable proposals for helping students become better at listening comprehension. Tension assumes a significant job in unknown foreign language understudies' study hall execution. This investigation displays the aftereffects of the principal exact examination of the impact of general FL learning nervousness on understudies' accomplishment in an Spanish course and of listening tension on understudies' listening appreciation. The information originated from 2 proportions of uneasiness and a foundation poll controlled to 100 students of Spanish as a foreign language. Uneasiness scores were related with definite evaluations and listening understanding scores. The outcomes demonstrated that foreign language learning tension and listening uneasiness are isolated however related wonders that both correspond contrarily with accomplishment. The investigation likewise uncovered critical negative relationships among foreign language learning tension, listening uneasiness, and chose statistic factors. These outcomes propose that diminishing understudy nervousness and giving a less distressing study hall condition may empower educators and Spanish projects to enable understudies to improve both their listening cognizance capability just as their general course execution.